A CodePen collection of SweetAlert Icons with animations by Alexandre Chopin, that can be repurposed to create Vue.js components. 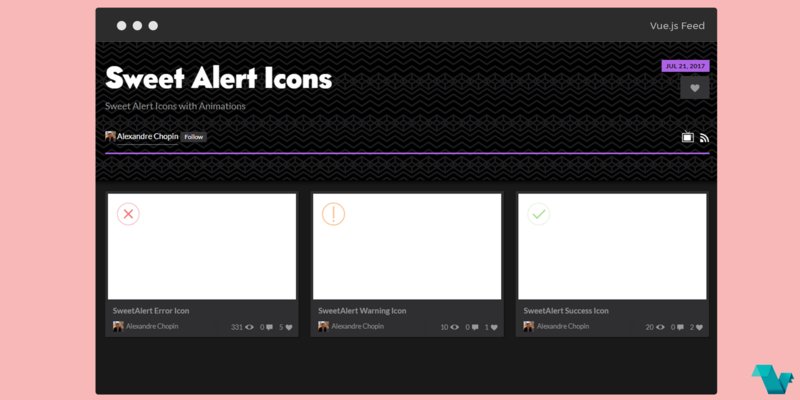 In the CodePen collection 3 SweetAlert icons are included with animations, with HTML markup & CSS, check below for detailed views. The original SweetAlert project is available on GitHub.